Feinberg: "If the airbag deployed, don't bother filing a claim." DETROIT/WASHINGTON -- Attorney Ken Feinberg’s plan for compensating victims of General Motors’ ignition-switch defect will include a broader set of criteria than GM has used to determine which crashes are linked to the faulty part, which means the company’s estimate of 54 related accidents and 13 fatalities almost surely will rise. Feinberg said in an interview during the weekend that he will consider claims involving any accident in which airbags didn’t deploy in the 2.6 million Chevrolet Cobalts, Saturn Ions and other small cars recalled for the defective switch. The switch is prone to slipping out of the “run” position if bumped or weighed down by a heavy keychain, disabling power steering, power brakes and airbags. A Web site was set up with further details of the program. 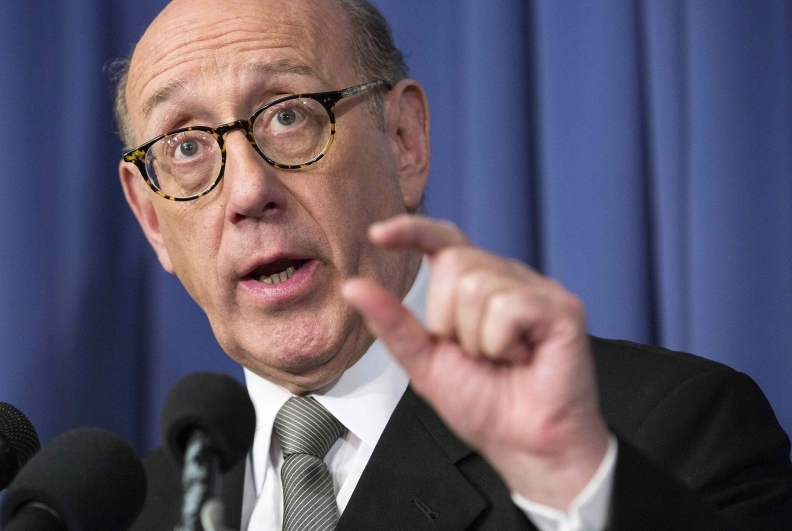 During the news conference today, Feinberg said that he couldn’t predict the final tally of deaths and injuries from GM’s defective switch but that he would release a summary once all claims have been processed. He also said he couldn’t attach a dollar figure to the program because there will be no limit on the aggregate amount of money that GM will pay under it. Despite the broader eligibility, the onus is on victims to prove that the ignition caused the accident, through police records, warranty logs or other “circumstantial evidence.” Feinberg acknowledged that it will be a “real challenge” to produce proof from crashes that happened many years ago. Feinberg said he doesn’t have an estimate for how many victims will qualify for compensation. He said he has “sole discretion” in deciding eligibility and the amount each victim will receive. An internal 2012 GM document released last week by a House committee investigating GM’s handling of the safety defect shows that the company counted more than 800 accidents in which airbags didn’t deploy in Cobalts and Ions. Feinberg’s opening of the criteria to include any accident in which airbags didn’t go off not only vastly expands the pool of potentially eligible victims but also makes his job more complex. Through 2012, the most recent data available from a federal traffic-fatality database show that 1,752 people died in crashes involving the cars being recalled by GM, which also include the Pontiac Solstice and G5, Saturn Sky and Chevy HHR. Only a fraction of those cases are likely related to the defective switch, but each could offer an opportunity for a victim’s family to seek compensation. Feinberg is under pressure in Washington, where two congressional committees and the U.S. Department of Justice have opened investigations into GM’s lapses. Feinberg said during today’s press conference that he discussed the design of the program with plaintiffs’ lawyers, auto-safety advocates and lawmakers such as U.S. Sen. Richard Blumenthal, D-Conn., before unveiling it today. Blumenthal, who has proposed reforms in auto-safety laws in an effort to prevent future lapses, praised Feinberg’s work. But he said the fund could be more favorable to victims -- such as by letting victims wait until the Justice Department investigation concludes to decide whether to take a payout or take their claims to court. The protocol outlines a process by which claimants can document their eligibility for compensation. Once somebody establishes that the airbag didn’t deploy, he or she will be required to show that the ignition-switch defect “was the proximate, substantial cause of the accident,” Feinberg said. People bringing claims will be required to file “various examples of circumstantial evidence” that the ignition switch going from “run” to either “accessory” or “off” led to the crash, such as a police report or black-box data, Feinberg said. Other examples of evidence include: insurance or medical reports of the accident; crash-scene photographs; warranty and maintenance records from before the crash that show past instances of stalling; and depositions or expert witness accounts for crashes that already had been litigated. In a statement, the advocacy group Center for Auto Safety said Feinberg’s criteria “appear fair,” but it expressed concern that victims will have trouble providing documentation. The group urged Feinberg to validate any claim in which the victim can show a record of previous stalling. Death of any driver, passenger, pedestrian or occupants of another vehicle involved in a crash. Feinberg will calculate payments to the families of these victims using a formula that relies on the national averages for settlement values of economic and non-economic loss, which includes pain and suffering. Economic losses will be calculated based on the victim’s age, salary, historical earnings and dependents. Non-economic payouts will be $1 million for the person who died, and $300,000 each for the surviving spouse and any dependents. For example, the death of a 17-year-old student, living at home, with no dependents, would be valued at $2.2 million, based on those national settlement averages. The family of a 25-year-old with two kids and an annual salary of $75,000 would be paid $5.1 million, Feinberg said. Catastrophic physical injuries, such as those that resulted in the victim being quadriplegic or paraplegic, or suffering permanent brain damage, double amputations or pervasive burns. In some cases, victims who suffered severe injuries would get more money than the families of those who died, Feinberg said. For example, a 40-year-old with no children who earns $70,000 a year would receive $6.6 million, based on the national settlement averages. Less serious physical injuries that required hospitalization or outpatient medical treatment. Victims in this category would be eligible for payments ranging from $20,000 for a one-night stay at a hospital for observation to $500,000 for hospitalization of a month or longer. Eligible victims who were in the hospital eight to 15 days in the wake of an ignition-switch-related accident would be paid $170,000. Feinberg said “simple” claims will be paid within 90 days; more complicated claims will be paid within 180 days. He said he expects to complete the process by sometime in the spring. GM expects to disclose an estimated cost of the compensation program when it reports second-quarter earnings on July 24, a GM spokesman said. It will be treated as a special item, he said. Feinberg will begin taking claims on Aug. 1. Claimants will have until Dec. 31 to file. People who file claims must waive their right to sue, but only after Feinberg has determined their eligibility and payment amount. Victims will not be excluded based on “contributory negligence” in the crash, such as whether they were speeding, texting, not wearing a seat belt or impaired by drug or alcohol use. Victims who already have settled lawsuits against GM for claims from accidents stemming from the ignition switch and signed a release not to sue in the future “can rip up that release” and be included in the compensation program, Feinberg said. GM hired Feinberg, 68, in the spring to study the ignition-switch issue and develop a compensation plan. After spending his career specializing in mediation and dispute resolution, the Boston area native has emerged in the past decade as a well-known victim compensation expert, having overseen a $7 billion fund for nearly 3,000 victims of the Sept. 11, 2001, terrorist attacks and a program to compensate people harmed by BP’s Gulf Coast oil spill in 2010. Feinberg said the key difference between the GM ignition-switch case and the other high-profile programs he has administered is the long period of time that has elapsed since many of the car crashes -- in some cases more than a decade. Feinberg acknowledged that some people will be skeptical of the process and whether GM will have any influence over it, despite assurances by him and the company. Feinberg said during today’s press conference that he did not directly meet with victims in designing the compensation fund. But he met face to face with a handful of victims’ relatives today. Feinberg spoke after the press conference with Idaho residents Rosie Cortinas and Monica Coronado, the mother and sister of Amador Cortinas, 23, who was killed in an October car crash while driving a 2005 Cobalt. Also in attendance was Maryland resident Laura Christian, mother of Amber Marie Rose, who died at age 16 in 2005 while driving a 2005 Cobalt. Christian, who has become a visible advocate for victims, told Feinberg she has compiled a list of 165 deaths that she believes to be linked to the faulty ignition switch. She asked him whether he would want a copy of her records.